Richard Leonard's NYC Collection - both steam and diesel photos and descriptions. By request, I am including information on some of the discussion lists and web forums that I belong to. There are others. A discussion list dedicated to sharing information about Conrail with some allowances for predicessor and successor roads. A discussion group for anyone interested in modeling New York Central System and subsidiary lines. Topics need to relate to modeling of the NYC, affliated and predecessor railroads. A discussion group for friends and former employees of the "Water Level Route", the New York Central Railroad Company. The focus is primarily historical, and mostly limited to the NYC (and PC successor) period prior to ConRail. A place to discuss the New York Central Railroad's US operations, including the B&A, P&LE, P&E, among others, as well as its Canadian divisions and branch to Ottawa. Topics are welcome on anything from the earliest days to the current day operations on the ex NYC lines. A Penn Central Railroad mailing list. 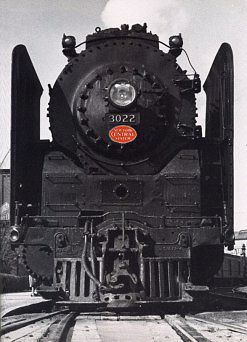 This mailing list is for discussing all aspects of the Penn Central Railroad, including but not limited to: operations, motive power, track arrangements, predecessors, etc. Note: you do NOT include your name. A list for discussion about scale modeling of the Penn Central Railroad in miniature. Subjects about predecessor railroads (Pennsylvania and New York Central) or subsidaries are welcome as they relate to the PC. Note: For the Yahoo lists, you can sign up on the web at Yahoo. It will be necessary to sign on to Yahoo to use the web facilities of those lists. Copyright 1995-2012 by Roger P. Hensley. All Rights Reserved.